Northwest National Real Estate: SALE PENDING! Recreational Paradise Seasonal Crk, Spring, Owner Finance Close To BLM Land In Cascade, MT! SALE PENDING! Recreational Paradise Seasonal Crk, Spring, Owner Finance Close To BLM Land In Cascade, MT! Recreational paradise for sale located in Cascade, Montana. There is a camper that is included on the 8.60 acres. 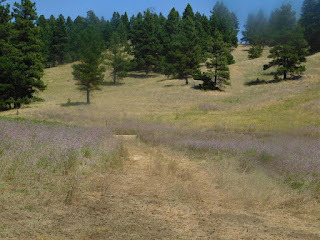 Lot is close to BLM land, Upper Sawmill Creek, the Missouri River, Dearborn River and, the Helena National Forest. The camper is in excellent condition, everything works, and the generator is included! Enjoy a relaxing summer next to the seasonal creek. The land boasts nice meadows, trees, and plenty of wildlife. Contact Grant Bonnice to arrange a showing at 406-439-0059. Priced at $34,900. OWNER FINANCE AVAILABLE.